Let me get this out of the way up top: I’m not interested in football. I have no idea who’s in the playoffs. I will not be attending any Super Bowl parties. 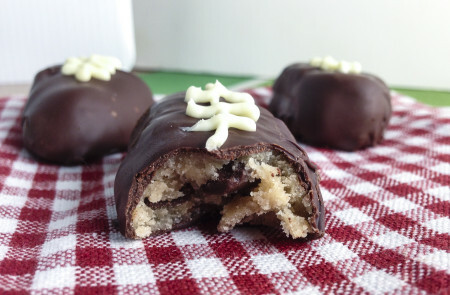 Cookie Dough Truffle Footballs are a riff on Cookie Dough Bonbons, which is itself a riff on my recipe for The Best Homemade Chocolate Chip Cookies in the Entire World. To make them, I scooped up a tablespoon of bonbon filling and shaped it into a flat oblong—y’know, a football. As I shaped each one, I placed it on a wax paper-lined tray. When I’d scooped the whole batch (about 24 footballs), I put them into the freezer for an hour to firm up. Once they were solid, I melted 12 ounces of semisweet chocolate with a tablespoon of olive oil and dunked each football into the mixture using two forks, then transferred it back to the wax paper. Once all were coated, I popped the tray back into the freezer for 10 minutes. For the final step, I melted 3 ounces of white chocolate and transferred it into a piping bag fitted with a #1 tip (you could also use a Ziploc bag). You can guess what I did with that, right? 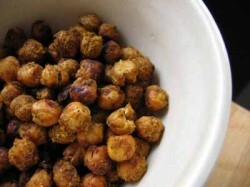 These days my kitchen is cold enough that I’m able to store these in an airtight container in the pantry, but if it’s warm where you are you may want to refrigerate until just before serving. Ta-da! 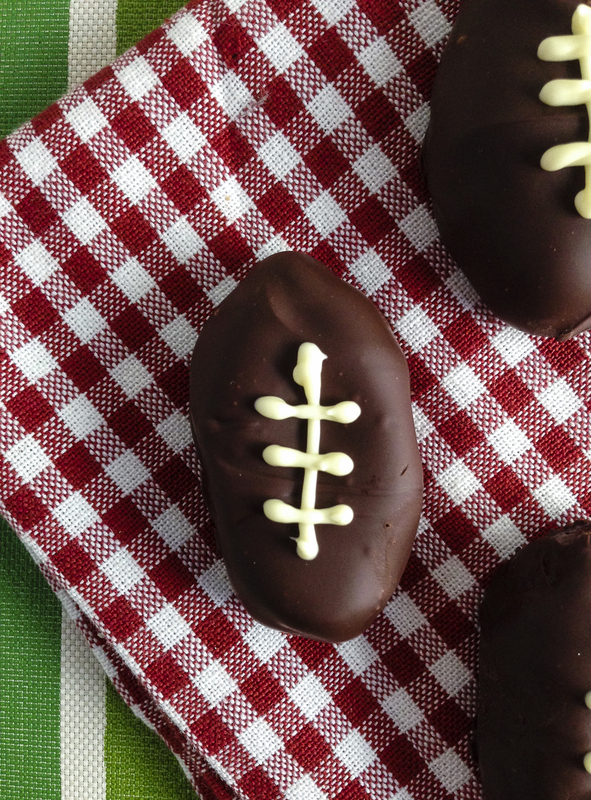 There you have it, football-shaped cookie dough truffles. Go, team! Or something. 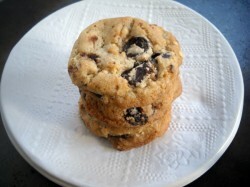 Brittany, the caution for raw cookie dough is because of the raw eggs–this recipe replaces the egg with a mixture of ground flaxseed and water. Perfectly safe! Go right ahead and gobble them down.